AFL NSW/ACT is committed to supporting the rights of people with disabilities to actively engage in all aspects of Australian Football. We are committed to ensuring that opportunities to play the game are accessible to all. Australian football has a strong history of leading and advocating positive and proactive change in community attitudes and social policy. 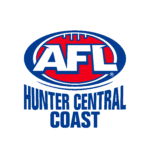 Accordingly the AFL is dedicated to making it easy for people of all abilities to participate in Australian football including playing, coaching, officiating and administrating the game. Australian Football has the capacity to bring people and communities together like few others. Our game is inclusive, safe and fun – it can and should be enjoyed by everyone and AFL NSW/ACT is committed to making it accessible at every level. AFL NSW/ACT Disability Action Plan has been created to ensure that we are providing genuine opportunities for people with disabilities to enjoy all aspects of Australian Rules Football and share in its possibilities across NSW and ACT. The AFL National Inclusion Carnival is an annual representative carnival for athletes with an intellectual disability. The carnival not only gives some of Australia’s most talented footballers the chance to represent their State/Territory but is also an opportunity to showcase the significant abilities of footballers with an Intellectual Disability to the broader community. 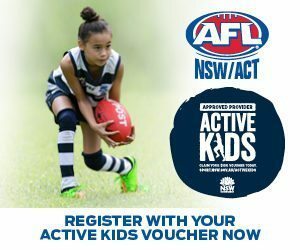 To register your interest for the 2019 AFL NSW/ACT Representative team, please click here. Check out the video filmed at the 2018 AFL National Inclusion Carnival here. 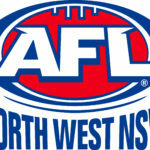 The AFL has created an AFL specific online resource. AllPlay website has coaching tips and general information that can be used by all members of your local club. Sporting Schools has some great information around behaviour Management. Play by the Rules includes video resources on parent and player behaviour and information on creating an inclusive environment. All Abilities NAB AFL Auskick Implementation Guide provides a quick step implementation plan on how Auskick centres can become more inclusive to ensure they are able to provide an environment for kids with disabilities.